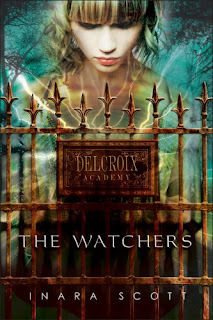 Dancia's back at Delcroix, but this year, everything's different. Dancia's Talented, and her powers have earned her an invitation to join Delcroix's real raison d'etre --the Program. Dancia's wanted to use her powers to help people all her life -- and now Delcroix is going to give her the training she needs to use her Talent for good. At least...that's what the school saysshe'll learn to do with her powers. Her cuter-than-cute boyfriend Cam insists that it's true, and so do all the other students. But there's still a little voice inside her head that wonders -- if the Program's so great, why did her almost-only-a-friend- Jack run away rather than join? And why would the school be getting attacked by angry ex-students? Dancia's a loyal student...and a loyal girlfriend. But if finding out what's really going on means talking to Jack, well -- it's a risk she just might have to take. Please do not forget to add your review to Simply Linked below and Delivery Confirmation in comments. You can also e-mail DC# to ARCTours@goodchoicereading.com.